It has rightly been said “To have a second language is to possess a second soul”. 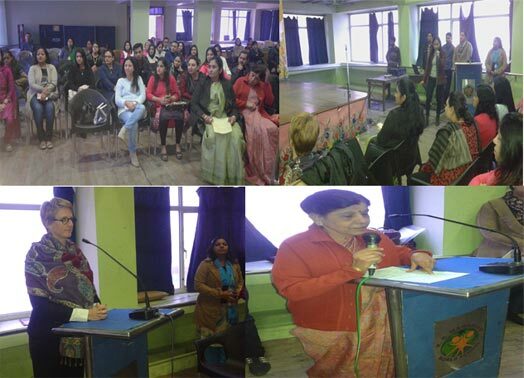 In pursuit of the same, an interactive session was held on 22 December 2015 for the parents of Classes IV and VIII. The Motivational session helped the parents to make their choice easier for third language in Class V and second language in Class IX. Ms. Jagriti Bhudiraja from Max Muller Bhavan, Connaught Place enlighted the parents about German language. Ms. Caroline Schmitt and Ms. Kanika Bhardwaj from Alliance Francais, Lodhi Road enlighted the parents about French language. Ms. Suman Sabharwal, Sanskrit Faculty from K.R. Mangalam World School enlighted the Parents about Sanskrit Language. It was an interactive session and Power point presentations were shown to the Parents. The Motivational session ended with Question-Answer Session.